AI could mean a new era of social media manipulation. The British secret service want to use AI for spying. Part of the security services job is to monitor social discontent. It is customary to use plants and manipulate media. Why should we be alarmed, after all there are already thousands of army operators manipulating the media and have been since 2015? These are battalion 77 located at Berkshire. The line between the two is already blurred. They are not alone. In 2011 Centom started a similar army media manipulation battalion in an operation called Earnest Voice. "According to the Smith-Mundt Modernization Act of 2012, dissemination of foreign propaganda to domestic audiences is expressly allowed over the internet including social media networks." As ever time-lines are interesting. Remember Obama's red line and the destroyer he sent to bombard Syria. He backed off, the destroyer turned around and went back home and you may ask why. I have no official secret sources but I have a theory and it involves ordinary Americans who were sick of war. The social media response to yet another new war was overwhelming. Americans were voting in Yahoo comments by the tens of thousands saying no. it was unprecedented. People were realizing that not just them but nearly everybody wanted the same thing. That is my reason for the return of the destroyer. At that time Putin was also very popular in American surveys. The media had to change and the social media was getting dangerous. Shortly after this Yahoo dropped all comments sections and removed the notifications bell. It is all back now but you can bet it is all governed by very different algorithms that control popular discontent. On top of that 'trouble makers' have found themselves shadow banned. Shadow banning takes many forms, Yahoo simply does not print the comment section. I am not saying this is a bad thing but consider, the press is now bipolar and under reports certain situations, like say the 85,000,000 children that are estimated to have died of hunger in the US assisted Yemen war. The press can no longer be a watchdog although some might say they never were. The social media used to and still does let people know how the masses think. That could all change. The US, the UK and Israel (since 2003) have been infiltrating and manipulating social media. Battalion 77 are expanding even now and it is a fair assumption that Centom are employing more sock puppets too. So, the UK wants to bring their numbers up to 3,000 and it is a fair assumption that Centcom have over 10,000 social media manipulators. Israel too probably have several thousand. Enter AI. Nobody needs an introduction to AI and the implications all too obvious miss. So far MI6 say they want to introduce it. It is a short hop to Battalion 77 and Operation Earnest voice. I believe social media is already being used to manipulate the masses and with AI it could remove the opportunity for people to communicate any dissatisfaction at all. I think we should all be concerned. On a related note to earlier posts on the topic, too much screentime may not be a good thing. I am sure its a good thing to lose your abilities to process external information. Ever since Socrates complained about the written word ruining memories, people have been wringing their hands over the potential harms of technology. At least Socrates never had to worry about his Snapstreaks. Now researchers say social media could be making more teens depressed, and there’s plenty of parental panic about the attention-sapping effects of the smartphone age. 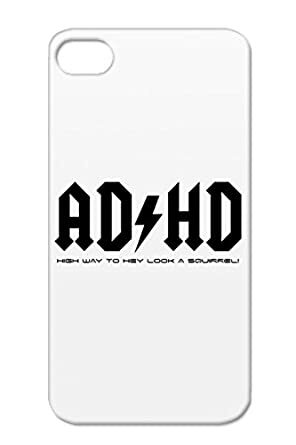 Cell phones, the ultimate force multiplier for even the mildest amount of ADHD. In case you were feeling comfortable because you werent on FB, here is some disturbing stuff indeed. Thiel is the most dangerous man in the US. Guy is a maniac. I see that the diagram of his connections list Elon Musk as a "colleague". Two bright, driven, bold men who are melting down into a pool of batshit crazy as they untether from reality. "Surveillance will never happen here". We already have it at airports and some countries use it in subways, so why not America. The point is Google just won an important test case. This photo is captured with 24.9 billion pixels of quantum technology. You can zoom in, zoom out when you look at it. You can clearly see every gesture, even face of pedestrians on the road. I know the area well. I was looking everywhere for the Pearl Tower but it was taken from the Pearl tower. I do not know what the quantum reference refers to. The resolution is simply stunning. My guess is they had hundreds of RGB cameras forming a 'fly' eye. It is fairly high speed too. Using IR you could monitor a 300m long aircraft carrier in an ocean from a satellite using that technology. It's military applications seem obvious. My former stomping grounds as well. Shanghai is the entrance to the China industrial heartland. Highest concentration of power plants in the world. This is not from a satellite and is not enabled by any "quantum" technology (that was the keyword that set me off). Please, let's be checking these things before sharing them. I never said nor did the link say it was from a satellite, even if someone from somewhere else thought so. In fact George noted where it was from before you even replied to this thread. I know the area well. I was looking everywhere for the Pearl Tower but it was taken from the Pearl tower. Even so, from the top of a tower can still make for some pretty effective surveillance. Please, let's check these things before tossing out the accusations. I never said nor did the link say it was from a satellite, even if someone from somewhere else thought so. From the top of a tower can still make for some pretty effective surveillance. Please, let's check these things before accusing. Sorry, my sincere apologies. Only the quantum part of your text was wrong, the satellite part was me being mixed up, since the text quoted was not part of the link I searched for it and the hoax that is was from a satellite was there, not in your original text. The 'quantum' was just from the quote from the people that produced it. I did not pay much attention to it as I simply dismissed it as salesman's hype to make the technology behind it seem even more impressive. That's right. The guys that released this threw in the word 'quantum' for effect. I had a google look and there is no explanation at all of the technology. Yes, Shanghai pollution can be brutal. That is the reason I dart off to Hainan dao so often. That and the fish, the prawns, the crabs and the lifestyle. And meeting the beautiful people. When I first went to Hainan dao, in 2004, the airport was a single runway with a turn around at the end. You stepped out the airport building on to mud and shale and negotiated with the dilapidated 'no use meter' rusty taxi mafia. What a change. Sounds like way back when. I have yet to work in Hainan. Not doing much work in China anymore. It was way back. Now it is brilliant. The airport is huge and thoroughly modern. Of course the military are now there too and they are setting up research labs. Great for a break. Rent a 2 bed apartment with a sea view for $40 dollars a night or a 4 bed for $80. On a related note, folks are using AI to thwart hackers. Interesting, but a bit discomforting, people's on line and e mail "habits" can be mined to insure they are authorized that particular access. I actually know of a school teacher who had her checking account emptied from Romania. When she called, they said it was a withdrawal from an ATM. She asked them why they didn't think it was unusual she would be in Romania when the day before she was in town. She did get her money back. I can see the value of something like that. We're always calling the banks to advise them of trips we're taking. My credit card now knows my travel habits. But my bank card is notoriously recalcitrant. Which is fine.